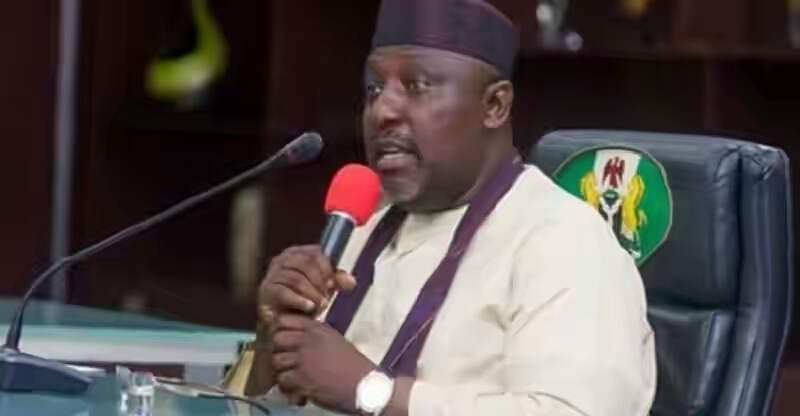 Many people were injured on Monday when the supporters of the Imo State Deputy Governor, Eze Madumere, and those of the son-in-law to Governor Rochas Okorocha, Uche Nwosu, had a violent altercation at a political meeting. The clash happened at the council hall of the Mbaitoli Local Government Area, at Nworubi, where the supporters of Okorocha’s son-in-law had allegedly gone to endorse him to run for the 2019 governorship election. Mbaitoli LGA is where the deputy governor, Madumere, hails from. Both Madumere and Nwosu are angling to succeed Okorocha in office, but the governor had, last week, publicly announced that he would support his son-in-law who is currently his chief of staff should he declare interest to contest. Sources at the meeting told our correspondent that a political structure known as “I believe Movement,” which is pro Nwosu; and supporters of the deputy governor attacked one another immediately the mission of the visitors was announced. According to an indigene of the LGA who was at the meeting, the visitors had sent them a text message, inviting members of the public to a gathering without stating the agenda. The indigenes, according to the source, became enraged when the visitors announced that the essence of the political gathering was to endorse the governor’s son-in-law for governor. “Members of ‘I believe Movement’ took us for granted. They came to our Local Government Area to endorse the governor’s son-in-law, as against our son who is the deputy governor of the state. “They want to use us to score a political point against the deputy governor, who is our son. “The annoying aspect is that they didn’t inform us why they invited us. “Immediately we realised what their plan was, we told them categorically that we were supporting our son, who is the deputy governor, for the governorship election. “They picked offence and started fighting us,” the source explained. According to the source, the indigenes had to call for reinforcement, which led to alleged bloody clash. Our correspondent learnt that the free for all and exchange of punches led to many of those involved sustaining injuries. Some members of I Believe Movement, our correspondent learnt, ran home half Unclad when the indigenes overpowered them, as it took the intervention of security men to bring the situation under control.